Who's excited now?! Only 10 days until Christmas. We have seen snow but it has not settled nor has it lasted very long but I am still hopeful. Have you finished all your prep? 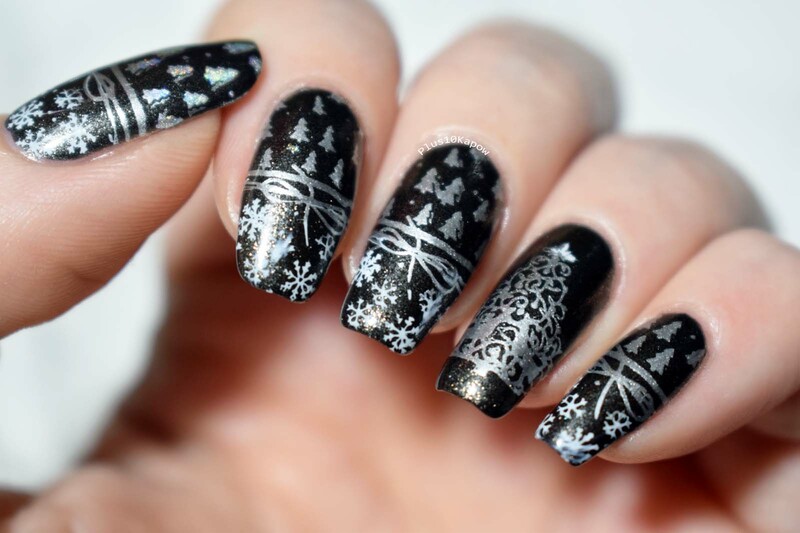 These wrapping paper nails are just what I need now as I am currently in the 'pretty much everything needs to still be wrapped' stage. 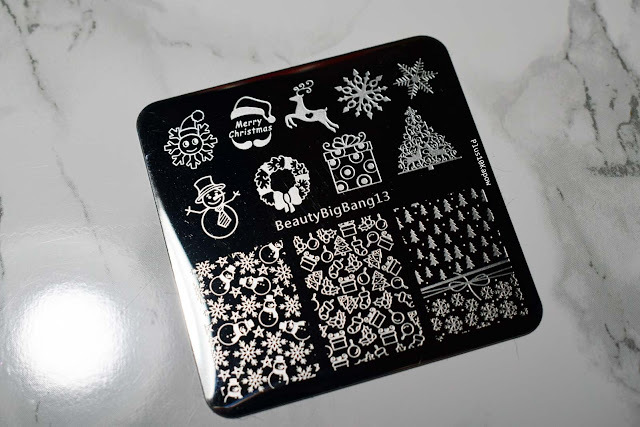 They have been done using the Beauty Big Bang 13 stamping plate from the Christmas 5 piece stamping plate set. The plate has 3 large images and 9 small images, most of which are great for reverse stamping. The pick up was great and there were no imperfections. 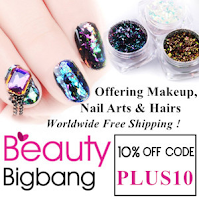 You can find this plate here for £1.49/$1.99 or you can buy the entire 5 piece set for £7.50/$9.99 and don't forget to use my code PLUS10 for 10% off your order. Other items used in this mani: Barry M Black Diamond, Barry M Cotton and Barry M Silver Foil.